Memorial Day weekend had the Reds visiting the Cleveland Indians for the first phase of the “Battle for Ohio”. 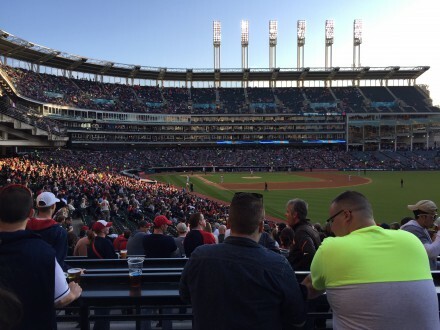 From Toledo, the trip to Progressive Field is only about 2 hours so a quick Friday night trip to the ballgame works. None of my buddies could make it so I was on my own. Indians sell standing room tickets in an area called “The District” at a good price (more on that later) but they were sold out from the team but I found one on Stubhub Thursday afternoon so game on. First problem – road construction. Every possible entrance to downtown Cleveland is under construction, with lane closings and detours. Siri was no help in avoiding problems so I was a little delayed getting into town and finding a parking place. But the bigger problem was getting into the ballpark. For some reason, getting through the metal detector took forever. The lines to get into the stadium were moving very slowly. That has never been a problem for me at GABP – I’m wondering if there was some sort of threat that day or they were training new security officers. 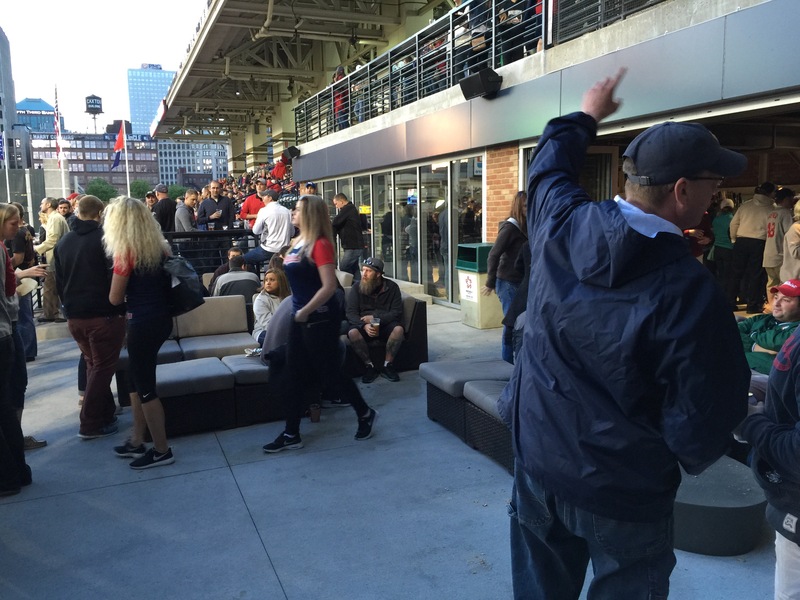 But I finally got in (after the end of the first) and walked straight to “The District.” Ã‚Â The highlight of the new standing room only section at “The Ballpark Formerly Known as The Jake” was The CornerÃ‚Â a two story bar/nightclub experience with couches, firepits and lots of TV’s. Tickets are $13 and that includes a $4 food credit (“your first drink” if it is a small domestic beer.) Right next to the District was the local food section called “The Neighborhood”. It’s filled with food from places like Melt (grilled cheese sandwiches) and other local restaurants with quick service and a really broad selection of items. The District was obviously very well thought out and planned. There were rows of rails with shelves for your drinks and food so you could actually stand, eat and watch the game. 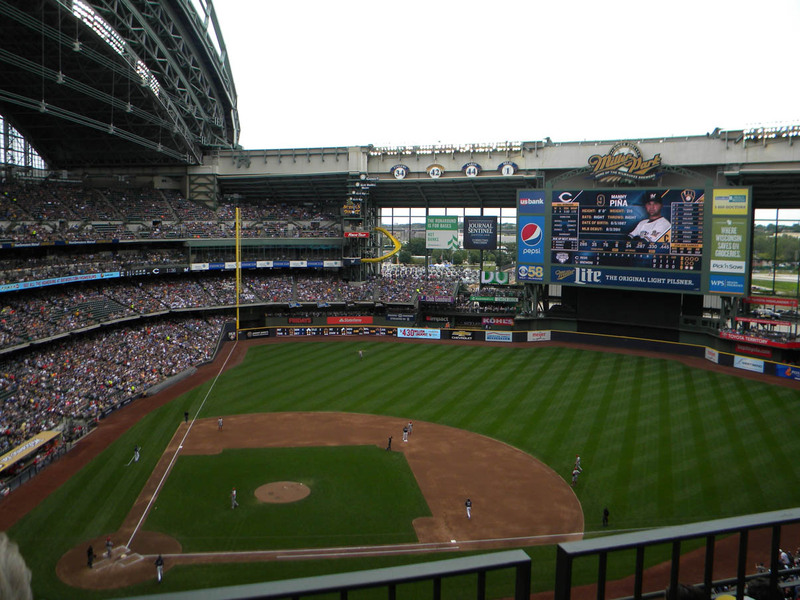 It sits directly on the right field foul line so the view of the field including the big scoreboard was pretty good. Ã‚Â The bars and food booths had plenty of manpower so the wait for anything wasn’t very long. The firepits were very welcome on a 55 degree May night. By the fourth inning and an Indians 5-2 lead, we all started watching the Cavs game (something Reds and Indians fans could agree on) with a very sports bar crowd vibe. 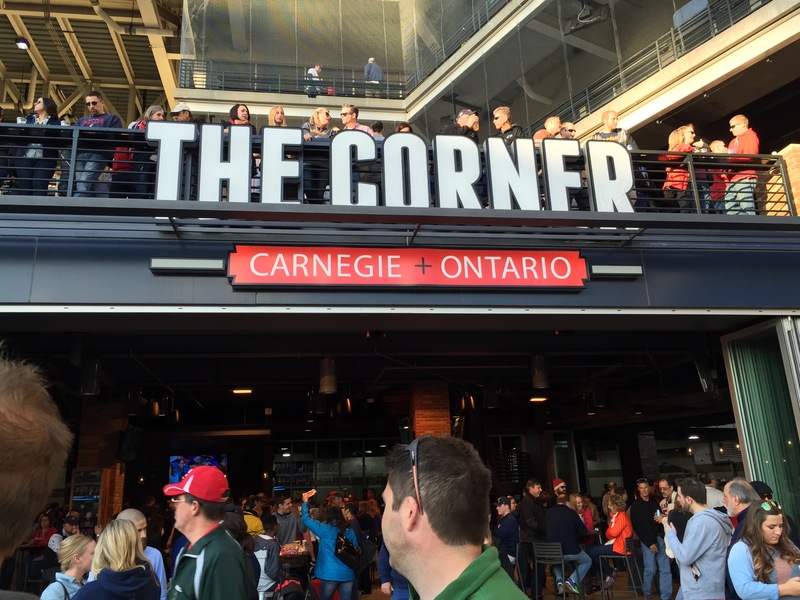 Ã‚Â The best place to see baseball action is the second floor of The Corner. 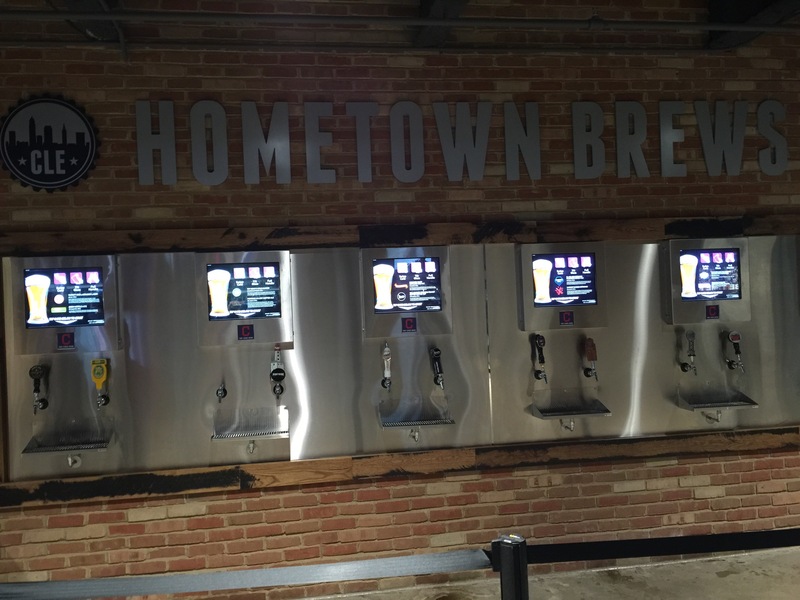 That is where “Hometown Brews” is also, the pour-it-yourself craft beer bar. It’s very unique, easy to use and gave me a chance to sample some beers I hadn’t tried before. They have serve yourself beer as GABP but those looked like vending machines. The brick wall and actual beer taps at The Corner give it a much better look. 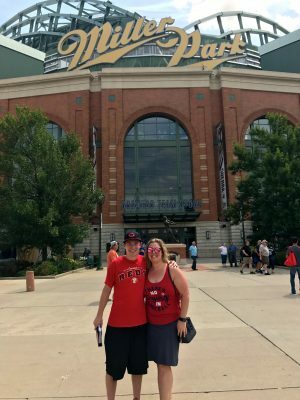 Overall, I was very impressed with the feel, look and experience at Progressive Field (I loved everything but the Reds performance that night – UGH!) And it’s a plus that Indians fans are way nicer and more human-like than Cardinal fans. Ã‚Â The crowd was very much having fun both watching the game and enjoying the experience. Ã‚Â Hopefully this will become the new ballpark trend and GABP will build a similar area soon. I was there also, section 138, about 6 rows up.There was a strong showing of Reds fans, but like you we all sat through their pathetic play. It is a really nice stadium and agree the fans are nice, friendly. Great place to see a game. I love how roomy and open the place is. A very strong showing of Reds fans that night. I wonder if it continued all weekend.